We're teaching this 8-module bootcamp course to help you take action to market your novel. In this book marketing course on Book Launches and Campaigns for Novelists Bootcamp, we will help you craft your book launch or campaign and take steps to enact it -- all in the community of like-minded novelists. Authors need to be willing to experiment and play to find what works for them and discover what is fun. How else will they be able to maintain motivation and momentum in this crazy business of being an author?! Our overall goal is to help you take action so that you can spread the word about your book, build a fan base, and make book sales. Unpublished authors getting ready to publish in 3-12 months, and wanting to prepare for their first book launch. Unpublished authors who want to build a fan base before they launch. Published authors wanting to plan and then act on their book launch and campaigns. Independently published and traditionally published authors because all authors can benefit from planning their book marketing and getting support to act on their plans. Authors not willing to wait another day to be in inaction around their book marketing campaigns, despite any fear they feel. Novelists willing to bring the creativity of their craft to book marketing. This course is geared for authors who are ready to jump into planning their launches and campaigns and take action. Those who think that one-size-fits-all. Your creative life and stories are unique. So will be your marketing. Those who want an easy fix. Sorry there isn't one. You make your own luck. Those who feel that marketing isn't their job. All artists need to market, and novelists are no exception. Connect in intentional and useful ways to spread the word about your book. We will have written lessons, short videos, handouts, checklists and guides for the lessons below. In this class you will have the opportunity to make a plan to market your book and act on it -- in class -- with community and teacher support. You're invited to roll up your sleeves, make decisions, and get feedback from the class on your efforts. 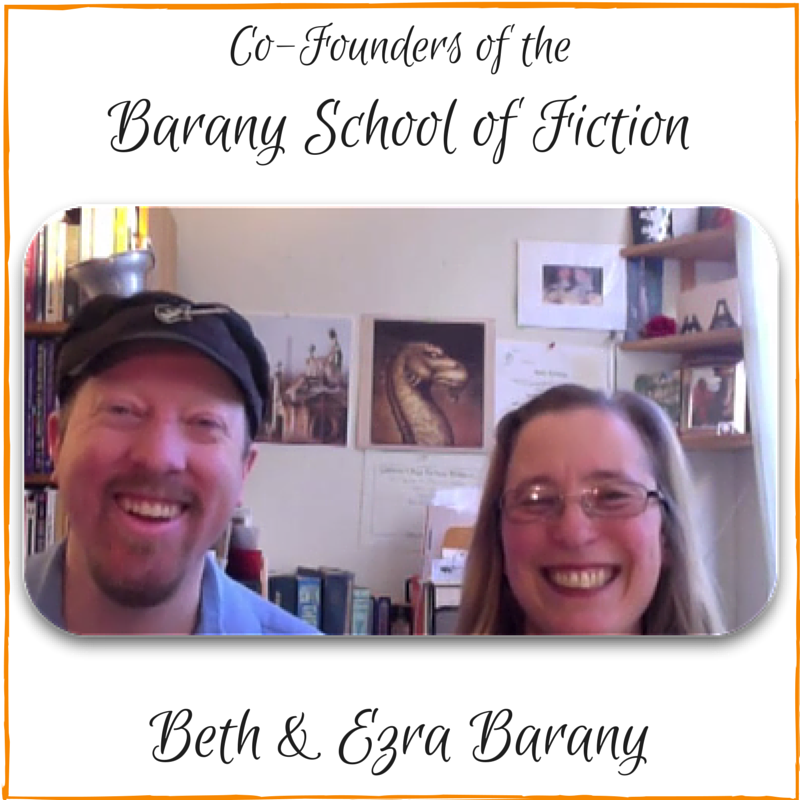 Both events are for the students of this class and the Barany School of Fiction community, so that you can practice in community. We'll run a Facebook party. We'll run a Twitter chat. "This was fantastic, Beth. A wonderful exercise. The support and collegiality made me feel so supported! Thank you so much for doing this." -- Lisa B. "Great party! I learned I have so much more to do ...VERY helpful." -- David S.
"First, thank you so much for this. I realize that I have much to do, but, I am not worried. I see what others have done and I feel like I can take their experiences and try them out for me. I also learned from thinking outside of the box. Your willingness to do this for us is admirable and inspiring. Thank you for all the time to you, Beth and Ezra, but also to all who joined in. Cheers!" -- Kim K.
— This course is for motivated writers who want the added support of an experienced teacher and mentor, who is also novelist who uses these tools in her own work: Beth Barany. In this one-on-one call, Beth will give you feedback on your book launch or campaign in a conference or video call. You can take the course at your leisure, and schedule your call anytime in the next 12 months to take advantage of this special student offer. Calls take place on the phone or video meeting and are scheduled to your mutual convenience.